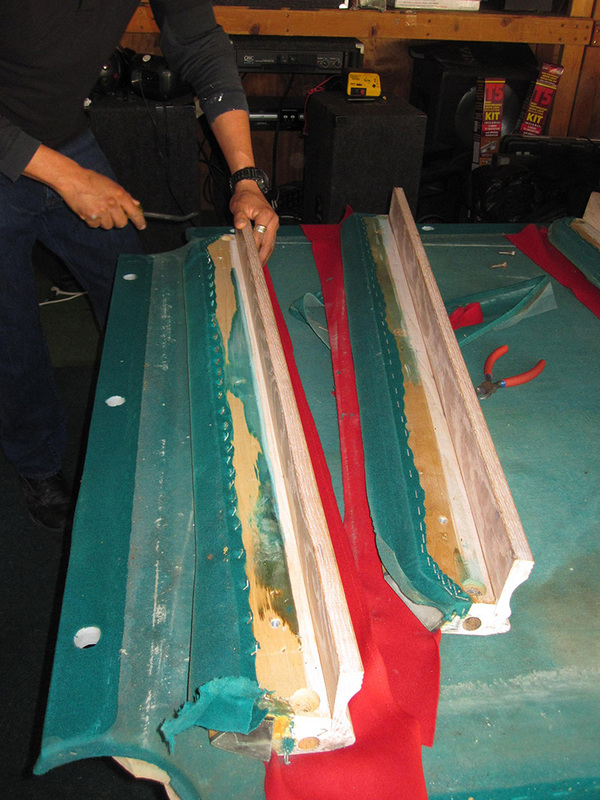 This has to be one of the filthiest pool tables I have ever come across. 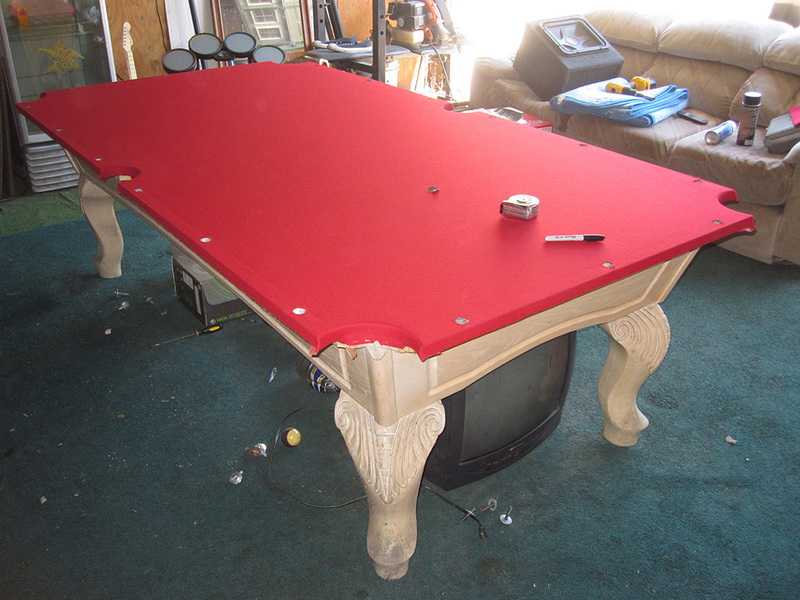 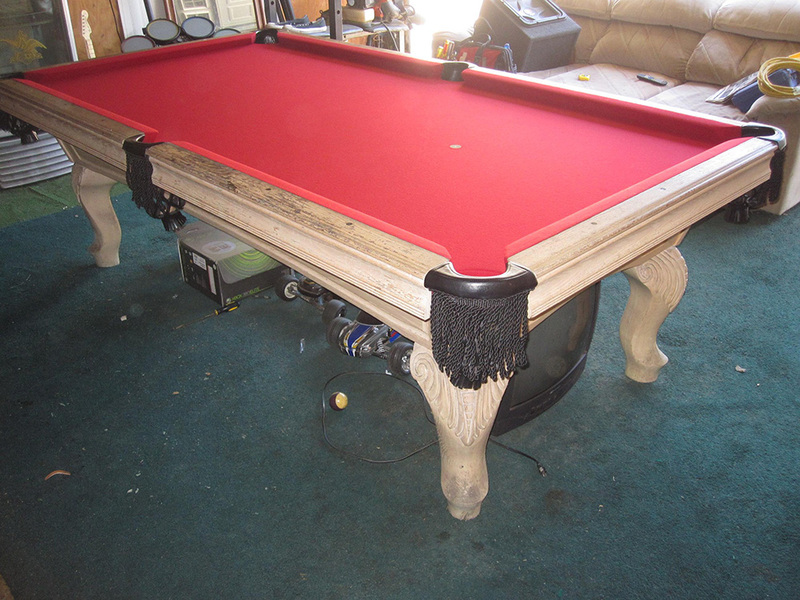 We were hired to give this Santa Ana, CA garage pool table a little makeover. 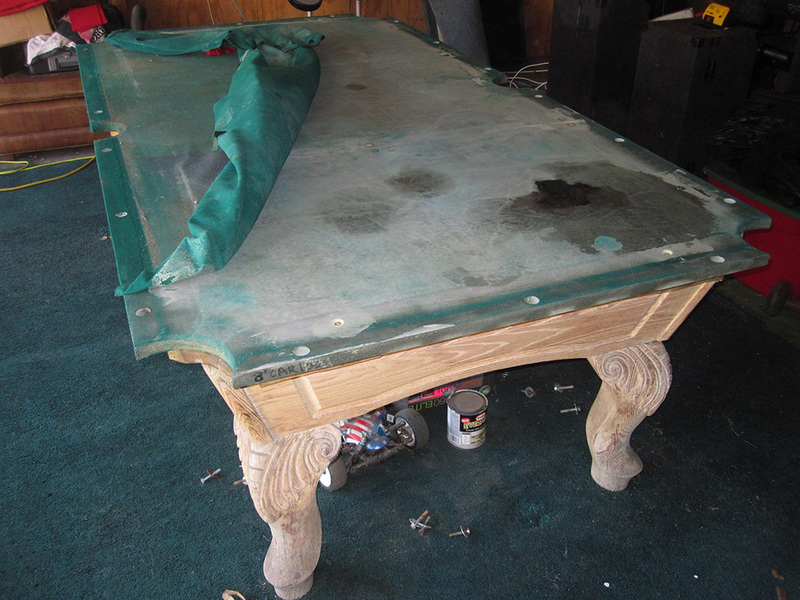 It looked as though somebody was rebuilding some type of engine on top of the pool table. 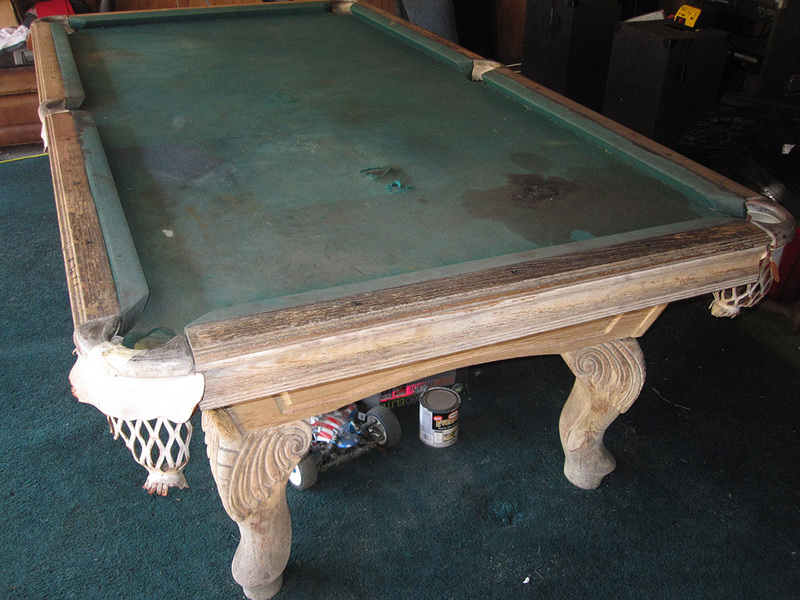 There was a huge black stain on the old green felt. 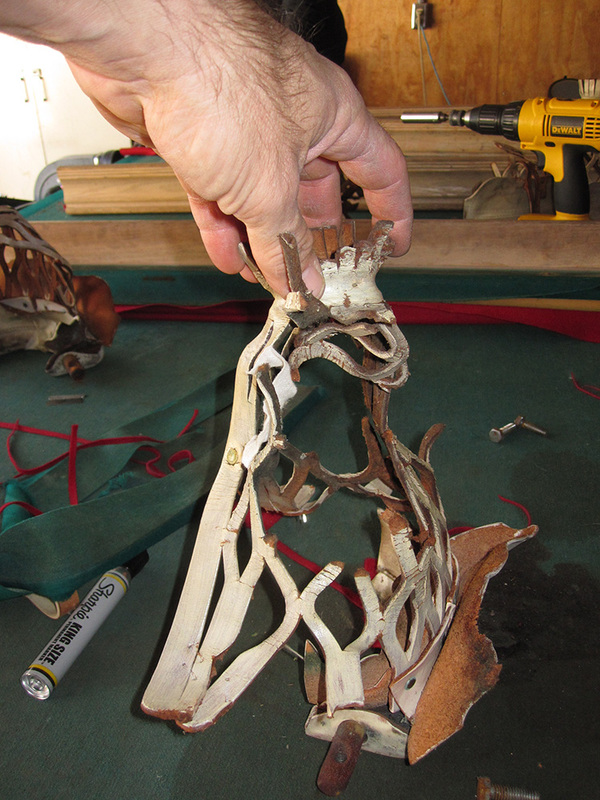 When I looked at the old leather pockets, it looked like a dog had used them as a chew toy. 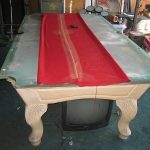 This eight foot pool table looked like it was manufactured by Advanced Billiards in Fullerton, CA. 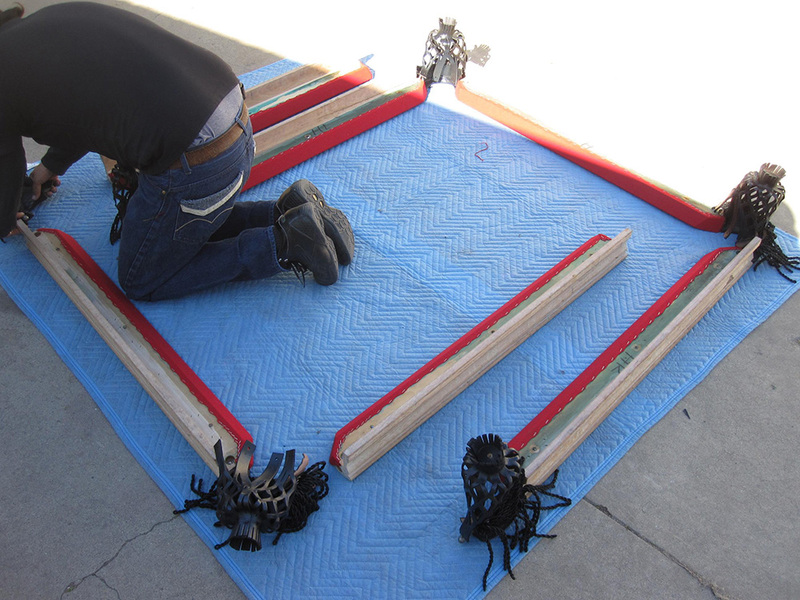 The slates were in good shape and the cushion rubber was still lively. 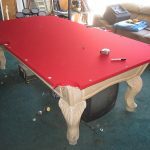 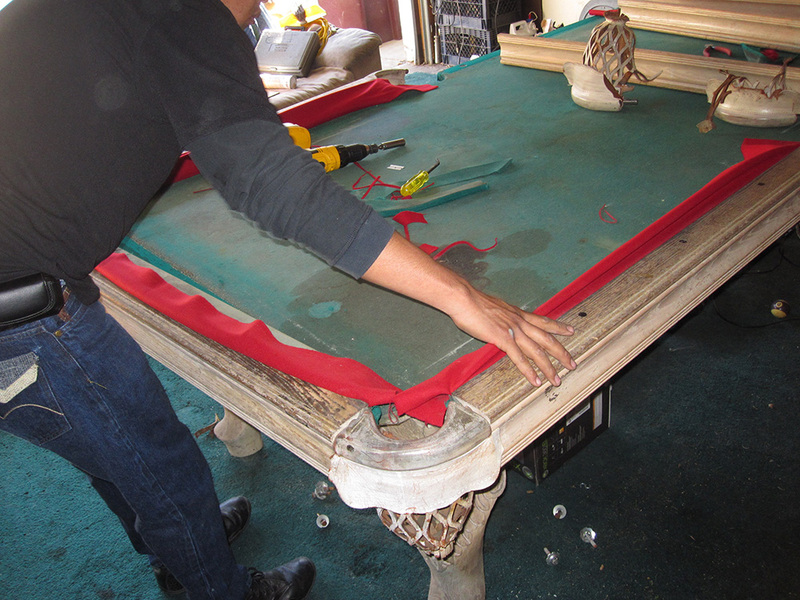 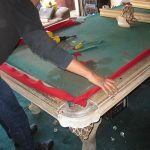 The new red felt we installed gave this dirty old pool table a new lease on life. 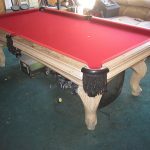 With a new set of black leather pockets all that the my client needed to do was to clean the wood up a bit. 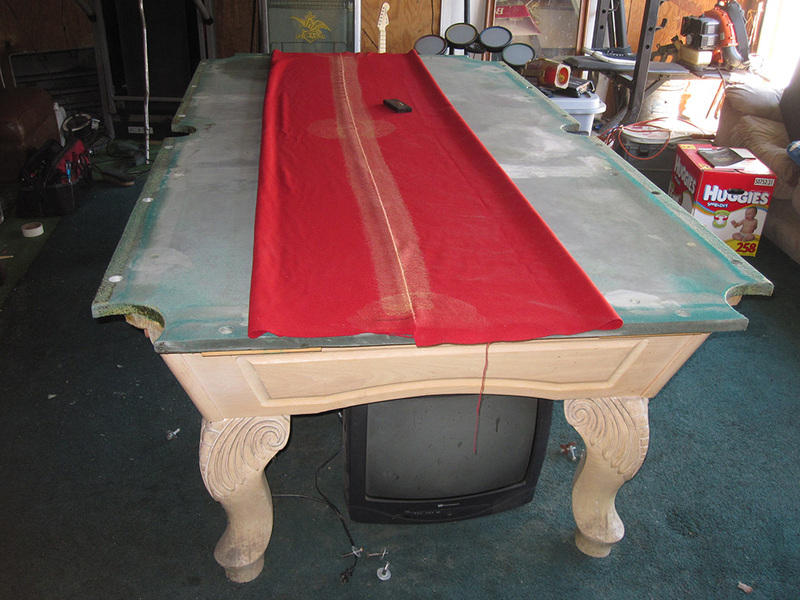 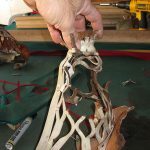 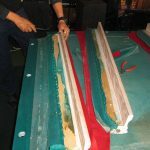 If you have an old pool table that looks like this, there may be hope for it too. 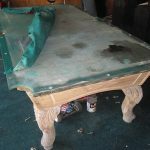 As long as the bones of the table are good quality, it’s worthwhile putting some money into refurbishing it.